Born and raised in Jersey City, NJ! Many soon ready to breed! The young are around 3″ to 8″. Adults quickly grow to 10″ or larger. 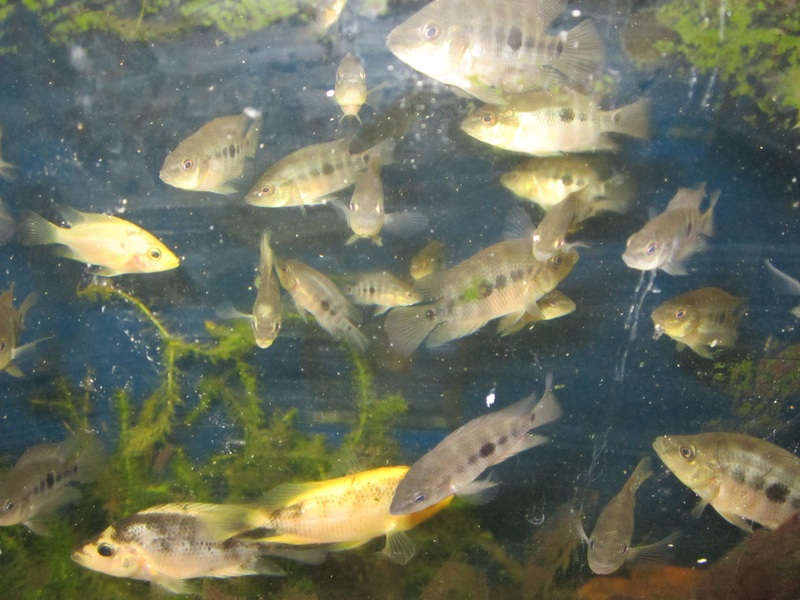 A fifty gallon aquarium is minimum for the full grown fish. When fed a color food, they turn orange – red. $7.77 each — Quantity prices available. and organoleptic properties of flesh from Panaferd-AX-treated fish were not different from those treated with synthetic astaxanthin. Panaferd-AX, at dietary incorporation rate of 12.5-fold greater than the proposed maximum incorporation rate (0.4 %) is safe for salmonids (trout and salmon). Paracoccus carotinifaciens is not a known pathogen, and no other concerns have been identified either in the limited literature available or in the data submitted in the dossier. Click HERE to download the report as a PDF. I’m breeding Midas Cichlids. When the picture was taken, the young fish were just starting to color up. These are sold in Pet Smart as Red Devils — which actually is a different fish. OFI President Svein A. Fosså discusses the place of selective bred varieties, hybrids, GMO’s, artificially coloured fish, etc., in the aquatic trade and hobby. Possible problem areas are pointed out and recommendations are given. Originally presented as the Keynote Address at Aquarama 2003. Ornamental Fish International article – Genetically Modified Organisms In the Aquatic Trade? Science has long since brought us to the point where transferral of genes from one species to another is becoming everyday practice in many areas. The construction of GMO’s (Genetically Modified Organisms) has become a welcomed tool in medical production (various medicines, antibiotics, human spare parts, etc. ), and it finds increasingly more uses in agriculture and food production. We get faster-growing crops, plants with integrated biological pest controls and disease resistance, plants with reduced need for fertilisers, as well as extended environmental tolerance and increased nutrient values in plants, as well as animals. Soon, GMO’s – fluorescent Zebra Fishes and Medakas for a start – will be ready also for introduction to the aquatic trade. Are we prepared for this? In the 1920s, the American biologist Dr. Myron Gordon and German biologists Haussler and Kosswig independently discovered that inter-species hybrids of a particular strain of the platyfish, Xiphophorus maculatus, and the swordtail, Xiphophorus helleri, developed cancers virtually identical to malignant melanomas in man (reviewed here). They traced the origin of these tumors to pigment cells of a platyfish color pattern consisting of black spots on the dorsal fin. Genetic studies demonstrated that melanomas developed only in hybrids that had replaced both copies of a platyfish regulatory gene with swordtail forms that could not control proliferation of the platyfish pigment cells (reviewed here). This animal model was one of the first to prove that some cancers were inherited diseases; after 65 years, these fish still are used in cancer research in the United States, Germany, Canada and Japan. Burmese pythons, boa constrictors, iquanas, lion fish and many different exotic birds now make their home in Florida. Visit the Discus Study Group Facebook Page for the most authoritative information on the king of aquarium fish. The video shows a very ambitious home system. This implementation is easily adapted for a wide range of aquaculture, agriculture and horticulture projects — indoors or out.